Osama bin Laden founded al-Qaeda during the latter stages of the Soviet-Afghan War with the goal of waging global jihad. Since its founding in 1988, al-Qaeda has played a role in innumerable terrorist attacks, and is most notoriously responsible for the multiple attacks on the United States on September 11, 2001. The 9/11 terror attacks—the deadliest ever on American soil—left nearly 3,000 people dead and provoked the United States to wage war against al-Qaeda in the group’s home bases in Afghanistan, Pakistan, and other sanctuaries worldwide. Since then, the group has established five major regional affiliates pledging their official allegiance to al-Qaeda: in the Arabian Peninsula, North Africa, East Africa, Syria, and the Indian subcontinent. 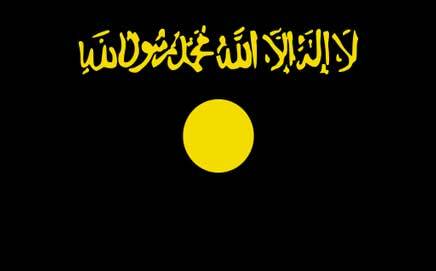 Al-Qaeda is a jihadist network that seeks to establish a caliphate (global Muslim state) under sharia (Islamic law). In 1996, bin Laden issued a declaration of jihad against the United States and its allies, the contents of which continue to serve as the three cornerstones of al-Qaeda’s doctrine: to unite the world’s Muslim population under sharia; to liberate the “holy lands” from the “Zionist-Crusader” alliance, and to alleviate perceived economic and social injustices.“Bin Laden’s Fatwa,” PBS Newshour, August 23, 1996,http://www.pbs.org/newshour/updates/military-july-dec96-fatwa_1996/. Ultimately, al-Qaeda believes that it is fighting a “defensive jihad” against the United States and its allies, defending Muslim lands from the “new crusade led by America against the Islamic nations…”http://www.fas.org/sgp/crs/terror/RL32759.pdf. In his 1996 declaration of jihad against the United States, Osama bin Laden justified the use of force by citing 13th century Islamic scholar Ibn Taymiyyah: “To fight in defence of religion and Belief is a collective duty; there is no other duty after Belief than fighting the enemy who is corrupting the life and the religion. There [are] no preconditions for this duty and the enemy should be fought with [one’s] best abilities.”“Bin Laden’s Fatwa,” PBS Newshour, August 23, 1996,http://www.pbs.org/newshour/updates/military-july-dec96-fatwa_1996/. Since then, the group has adapted its strategy in an effort to meet its evolving goals. In 2005, details of al-Qaeda’s 20-year strategy to implement its ideology emerged. Following a series of interviews and correspondence with senior al-Qaeda officials by Jordanian journalist Fouad Hussein, he described the “stages” leading to the ultimate objective of establishing a caliphate. According to Hussein, the first stage was the “awakening stage,” which ranged from the 9/11 attacks to the U.S. taking over Baghdad in 2003.Yassin Musharbash, “The Future of Terrorism: What al-Qaida Really Wants,” Spiegel Online, August 12, 20015, http://www.spiegel.de/international/the-future-of-terrorism-what-al-qaida-really-wants-a-369448.html; Radwan Mortada, “Al-Qaeda’s 20-Year Plan,” Al-Akhbar English, January 29, 2014, http://english.al-akhbar.com/node/18437. This period was then to be followed by the “opening eyes” stage which was expected to last between 2003 and 2006. According to Hussein, this stage entailed enhanced al-Qaeda operations in the Middle East, centralizing power in Iraq, and establishing bases in other Arabic states. The third stage, “Arising and Standing Up,” was staged to last between 2007 and 2010 and was focused on goading Syria to conduct attacks on Israel and Turkey. The following three years, 2010 to 2013, would involve the overthrow of Arabic monarchies and cyber-attacks on the United States economy. The declaration of the caliphate would come between 2013 and 2016.Yassin Musharbash, “The Future of Terrorism: What al-Qaida Really Wants,” Spiegel Online, August 12, 20015, http://www.spiegel.de/international/the-future-of-terrorism-what-al-qaida-really-wants-a-369448.html; Radwan Mortada, “Al-Qaeda’s 20-Year Plan,” Al-Akhbar English, January 29, 2014, http://english.al-akhbar.com/node/18437. However, al-Qaeda’s planned declaration of a caliphate was usurped by ISIS. In September 2015, on the eve of the 14th anniversary of the 9/11 attacks, al-Qaeda leader Ayman al-Zawahiri denounced ISIS for its so-called unilateral and premature imposition of a caliphate without coordination with other jihadist groups through sharia courts, which he calls the “prophetic method.”James Gordon Meek, “Al Qaeda Leader Al-Zawahiri Declares War on ISIS ‘Caliph’ Al-Baghdadi,” ABC News, September 10, 2015, http://abcnews.go.com/International/al-qaeda-leader-al-zawahiri-declares-war-isis/story?id=33656684. In particular, Zawahiri expressed his dismay that ISIS leader Abu Bakr al-Baghdadi had anointed himself the fourth caliph “without consulting the Muslims.”James Gordon Meek, “Al Qaeda Leader Al-Zawahiri Declares War on ISIS ‘Caliph’ Al-Baghdadi,” ABC News, September 10, 2015, http://abcnews.go.com/International/al-qaeda-leader-al-zawahiri-declares-war-isis/story?id=33656684. Zawahiri also strongly criticized infighting among jihadist groups, especially the killing of other Muslims because, according to Zawahiri, it distracted from the overriding goal of destroying the United States.Carla E. Humud, “Al Qaeda and U.S. Policy: Middle East and Africa,” Congressional Research Service, August 11, 2016, https://fas.org/sgp/crs/mideast/R43756.pdf. Since then, and despite the local-oriented activities of al-Qaeda’s regional affiliates, Zawahiri has maintained that the group’s primary target is the United States and “its ally Israel, and secondly its local allies that rule our countries.”Ayman al-Zawahiri, “General Guidelines for Jihad,” As-Sahab Media, September 2013, https://azelin.files.wordpress.com/2013/09/dr-ayman-al-e1ba93awc481hirc4ab-22general-guidelines-for-the-work-of-a-jihc481dc4ab22-en.pdf. Despite al-Qaeda’s criticism of ISIS, Zawahiri has not ruled out the possibility of cooperating with ISIS, or absorbing its fighters if ISIS is eventually defeated.Carla E. Humud, “Al Qaeda and U.S. Policy: Middle East and Africa,” Congressional Research Service, August 11, 2016, https://fas.org/sgp/crs/mideast/R43756.pdf. In April 2017, the Iraqi vice president confirmed that an al-Qaeda-ISIS merger was a possibility as the government had seen reports of high-level talks between the two groups.“Islamic State seeking alliance with al Qaeda, Iraqi vice president says,” Reuters, April 17, 2017, http://www.reuters.com/article/us-mideast-crisis-iraq-islamic-state-idUSKBN17J1DT. Al-Qaeda’s central command, which includes current leader Ayman al-Zawahiri and his top aides, has traditionally been headquartered in Afghanistan and Pakistan. Al-Qaeda has long pledged allegiance to the Afghan-based Taliban, which provided sanctuary to al-Qaeda after the United States turned its military focus on the group following the 9/11 attacks. In June 2016, Zawahiri reaffirmed al-Qaeda’s allegiance by publicly endorsing the Taliban’s new leader, Mullah Haibatullah Akhundzada.“Al Qaeda’s Zawahiri backs new Taliban chief Askhundzada,” Deutsche Welle, June 11, 2016, http://www.dw.com/en/al-qaedas-zawahiri-backs-new-taliban-chief-akhundzada/a-19323475. In North Africa and the Sahel, al-Qaeda is represented by al-Qaeda in the Islamic Maghreb (AQIM) and its breakaway factions. In East Africa, the group is represented by Somali-based al-Shabab. Al-Qaeda in the Arabian Peninsula (AQAP), which many security analysts believe poses the greatest security threat to Western targets, operates primarily in Yemen. Al-Qaeda in the Islamic Subcontinent (AQIS) is the most recent regional al-Qaeda affiliate to be established, operating chiefly in India, Bangladesh, as well as in the traditional al-Qaeda “home” countries of Afghanistan and Pakistan. For years, al-Qaeda has sustained a formal affiliate in Syria, the Nusra Front. In July 2016, the groups announced that they had split, a move which some analysts have dismissed as artificial.Thomas Joscelyn, “Analysis: Al Nusrah Front rebrands itself as Jabhat Fath Al Sham,” Long War Journal, July 28, 2016, http://www.longwarjournal.org/archives/2016/07/analysis-al-nusrah-front-rebrands-itself-as-jabhat-fath-al-sham.php. High-profile private donors to al-Qaeda also include: ‘Abd al-Rahman bin ‘Umayr al-Nu’aymi;“Treasury Designates Al-Qa’ida Supporters in Qatar and Yemen,” U.S. Department of the Treasury, December 18, 2013, http://www.treasury.gov/press-center/press-releases/Pages/jl2249.aspx. ‘Abd al-Wahhab Muhammad ‘Abd al-Rahman al-Humayqani;“Treasury Designates Al-Qa’ida Supporters in Qatar and Yemen,” U.S. Department of the Treasury, December 18, 2013, http://www.treasury.gov/press-center/press-releases/Pages/jl2249.aspx. Enaam Arnaout;“Treasury Designates Benevolence International Foundation and Related Entities as Financiers of Terrorism,” U.S. Department of the Treasury, November 19, 2002, http://www.treasury.gov/press-center/press-releases/Pages/po3632.aspx. Muhammad Yaqub Mirza;Glenn Simpson, “U.S. Indicts Head of Charity For Helping Fund al Qaeda,” Wall Street Journal, October 10, 2002, http://online.wsj.com/articles/SB1034185882821997916. Shafi Sultan Mohammed al-Ajmi;Jay Solomon, “U.S. Treasury Sanctions 3 Kuwait-Based Financiers for Alleged Terrorism Funding,” Wall Street Journal, August 6, 2014, http://online.wsj.com/articles/u-s-treasury-sanctions-3-kuwait-based-financiers-for-alleged-terrorism-funding-1407337782. Hajjaj Fahd Hajjaj Muhammad Shabib al-Ajmi;Jay Solomon, “U.S. Treasury Sanctions 3 Kuwait-Based Financiers for Alleged Terrorism Funding,” Wall Street Journal, August 6, 2014, http://online.wsj.com/articles/u-s-treasury-sanctions-3-kuwait-based-financiers-for-alleged-terrorism-funding-1407337782. and Abd al-Rahman Khalaf Ubayad Juday al-Anizi.Jay Solomon, “U.S. Treasury Sanctions 3 Kuwait-Based Financiers for Alleged Terrorism Funding,” Wall Street Journal, August 6, 2014, http://online.wsj.com/articles/u-s-treasury-sanctions-3-kuwait-based-financiers-for-alleged-terrorism-funding-1407337782. Al-Qaeda has focused its recruiting on the Middle East, where al-Qaeda's holy war garners adherents from a wide variety of backgrounds. Potential recruits are often identified due to the character of their faith. Recruiters patrol certain mosques known for extremist interpretations of Islamic texts and seek out the most curious or fervent believers.Seaman William Selby, “Detained Terrorists Reveal Al-Qaeda Recruiting Process,” Armed Forces Press Service, March 18, 2008, http://www.defense.gov/news/newsarticle.aspx?id=49310. Recruits are quickly immersed in doctrines of martyrdom and jihad and instructed in the religious duty to establish the caliphate. Local insurgent groups in the Middle East and North Africa have found that the al-Qaeda label itself helps to attract new members on the basis of al-Qaeda’s global revolutionary agenda. As counterterrorism scholar Daniel Byman notes, “Groups like al-Shabab often have an inchoate ideology; al Qaeda offers them a coherent—and, to a certain audience, appealing—alternative.”Daniel Byman, “Al Qaeda's M&A Strategy,” Brookings Institution, December 7, 2010, http://www.brookings.edu/research/opinions/2010/12/07-al-qaeda-byman. In Europe, al-Qaeda has sought recruits from those marginalized by society. They have actively, if informally, recruited members from Europe’s prison system. In 2006, Steve Gough of the U.K.’s Prison Officers Association said he did not think there were “al-Qaida-controlled wings” yet in British prisons. Nonetheless, Gough noted that al-Qaeda was already recruiting prisoners who shared their cells or were held in cells nearby.Alan Travis, “Prisons failing to tackle terror recruitment,” Guardian (London), October 1, 2006, http://www.theguardian.com/uk/2006/oct/02/prisonsandprobation.terrorism. In France, two of the alleged January 2015 Paris attackers, Amedy Coulibaly and Cherif Kouachi, met al-Qaeda’s “premiere European recruiter,” Djamel Beghal, in prison.Scott Bronstein, Drew Griffin, and Deborah Feyerick, “For Paris attackers, terror ties ran deep,” CNN, January 13, 2015, http://www.cnn.com/2015/01/12/europe/paris-terror-suspects-al-qaeda-ties/. Al-Qaeda's online recruitment has grown increasingly sophisticated. Its broad goal has been twofold: to increase the charm of an austere existence rooted in religion and then to shame those who abstain from this duty. These dual messages are conveyed online in many ways. Jihadist-inspired rap music, video games, and comics have successfully cast holy war positively and pulled new recruits into the organization.Andrew Dornbierer, “How al-Qaeda Recruits Online,” Diplomat, September 13, 2011, http://thediplomat.com/2011/09/how-al-qaeda-recruits-online/. Sahim Alwan was one of the “Lackawanna Six” from Buffalo, New York, who were convicted of supporting al-Qaeda after attending a terror training camp in Afghanistan in the spring of 2001.Christopher M. Matthews, “Al Qaeda Trainee Describes Training Camp During Terror Trial,” Wall Street Journal, March 6, 2014, http://www.wsj.com/articles/SB10001424052702303824204579423753034928002. More than 10 years later, Saïd Kouachi, one of the perpetrators of the Charlie Hebdo killings, confirmed that he spent “a few months” training in small-arms combat, marksmanship, and other skills on display in videos of the military-style attack. Thus, despite the increase in lone-wolf incidents since 9/11, traditional terrorist operations, including recruitment and training at foreign camps, remain a threat to Western security today. Al-Qaeda training camps are located in numerous countries around the globe. While allied with the Taliban, al-Qaeda established several training camps in Afghanistan, including the sprawling Tarnak Farms, where Osama bin Laden allegedly plotted 9/11. Most Afghan camps were destroyed during the U.S. invasion and occupation of the country after 9/11.“Terrorist Training and Indoctrination,” MI5 Security Service, accessed March 14, 2015, https://www.mi5.gov.uk/home/about-us/what-we-do/the-threats/terrorism/international-terrorism/international-terrorism-and-the-uk/terrorist-training.html. Unfortunately, as Joshua E. Keating of Newsweek noted in January 2015, “Where once there were few sanctuaries for jihadists [i.e., primarily in Afghanistan], now there are many—in Syria and Iraq, Pakistan and Yemen, Nigeria and Somalia.” Today’s jihadist training camps are created by a dispersed membership of not only al-Qaeda core but also offshoots like AQAP and AQIM.Kurt Eichenwald, “The Strategic Blunder Behind the War on Terror,” Newsweek, January 13, 2015, http://www.newsweek.com/2015/01/23/paris-massacre-was-declaration-new-kind-war-298810.html. The camps these groups run are often small, just one or two buildings, and temporary — such groups stay on the move to avoid detection by satellite or intelligence agents. These groups are believed to be increasingly sharing resources when it comes to training. According to some estimates, there are about 40 militant training camps around Pakistan.Joshua E. Keating, “What Do You Learn at Terrorist Training Camp?” Foreign Policy, May 10, 2010, http://foreignpolicy.com/2010/05/10/what-do-you-learn-at-terrorist-training-camp/. Nonetheless, in late 2015, U.S. and Afghan forces discovered a large training camp in Qandahar Province, suggesting that al-Qaeda has “expanded its presence in Afghanistan.”Carla E. Humud, “Al Qaeda and U.S. Policy: Middle East and Africa,” Congressional Research Service, August 11, 2016, https://fas.org/sgp/crs/mideast/R43756.pdf. In addition to physical training, indoctrination through study, videos, prayer, and a generally regimented lifestyle is meant to reinforce the singular message of jihad that al-Qaeda wishes to inspire in its trainees. Alwan noted that at the camp he attended, there was a billboard displaying a Quranic message that said, “Prepare for them what you can of strength so they may cast fear in the enemies of God.”Christopher M. Matthews, “Al Qaeda Trainee Describes Training Camp During Terror Trial,” Wall Street Journal, March 6, 2014, http://www.wsj.com/articles/SB10001424052702303824204579423753034928002. An al-Qaeda manual found in May 2000 further illustrates the degree of indoctrination that jihadists face in camp. The 180-page “handwritten terror instruction book” is dubbed the “Manchester Manual” because British anti-terror police found it in a raid on the apartment of al-Qaeda commander Abu Anas al-Liby in Manchester, England. Liby was wanted for plotting the 1998 U.S. embassy attacks in Kenya and Tanzania.Ian Drury, Chris Greenwood, and Martin Robinson, “Manchester Link of al-Qaeda Commander Captured in Daring U.S. Delta Forces Raid as It Emerges Jihadist Gave Scotland Yard the Slip 13 Years Ago After Being Given Asylum in the UK,” Daily Mail (London), last modified October 7, 2013, http://www.dailymail.co.uk/news/article-2447532/Al-Qaeda-commander-Abu-Anas-al-Liby-snatched-Libya-US-Delta-Force.html#ixzz3SEEh5jkk. The manual provides significant insight on the type of training al-Qaeda soldiers receive beyond physical training. Specifically, according to the U.S. Joint Task Force Guantanamo, “The Manchester Manual is literally an overarching basic guide that simply covers just about everything. It covers how to conduct general combat operations, how to escape and evade capture and how to behave in captivity. There is even a chapter on how to poison yourself using your own feces.”Shanita Simmons, “Manchester Manual The Code of Conduct for terrorism,” Joint Task Force Guantanamo, August 14, 2007, http://www.jtfgtmo.southcom.mil/storyarchive/2007/August/081407-2-manmanual.html. Much of the information in the manual was corroborated by Guantanamo Bay detainees regarding al-Qaeda operative training. For example, Omar Sheik [a kidnapper of Daniel Pearl] told his interrogators that he was trained in… the art of disguise... secret rendezvous techniques; hidden writing techniques; [and] cryptology and codes... Moreover, Khalid Sheik Muhammad—the mastermind of the 9/11 attacks—admitted that he assisted the hijackers in preparing to live a Western lifestyle by instructing them how to order food at restaurants and wear Western clothes, amongst other things. Furthermore, an al-Qaeda training manual entitled, “Declaration of Jihad Against the Country’s Tyrants (Military Series), written primarily with the stated purpose of helping operatives avoid detection when infiltrating an enemy area, teaches lessons in forging documents and counterfeiting currency, living a cover, cell compartmentalization, and meeting and communicating clandestinely…Devin D. Jesse, “Tactical Means, Strategic Ends: Al Qaeda’s Use of Denial and Deception,” Terrorism and Political Violence 18 (2006): 371, http://www.international.ucla.edu/media/files/FTPV_A_175157_P.pdf. Today, there are numerous ideological offshoots that either continue to support or have deviated from al-Qaeda in the Middle East and other regions. As mentioned above, al-Qaeda itself continues some training camps but also increasingly outsources to allied groups in countries such as Pakistan. The need for such camps to remain under the radar will only grow as more countries band together to fight ISIS (which has more than 40 camps in Iraq and Syria alone) and other violent extremist groups like the Nusra Front and Boko Haram. December 1992: Bombs explode at a hotel in Aden, Yemen where U.S. troops had stayed before traveling to Somalia. Two Austrian tourists die in the attack.“Osama Bin Laden: A Chronology of His Political Life,” PBS Frontline, accessed March 15, 2015, http://www.pbs.org/wgbh/pages/frontline/shows/binladen/etc/cron.html. February 1993: Khalid Sheik Mohamed’s nephew Ramzi Yousef masterminds the first attack on the World Trade Center, which kills six and wounds 1,500.“Al-Qaida Timeline: Plots and Attacks,” NBC News, accessed March 15, 2015, http://www.nbcnews.com/id/4677978/ns/world_news-hunt_for_al_qaida/t/al-qaida-timeline-plots-attacks/#.U4idFpwqRdg. April-June 1993: FBI stops a plot to bomb several targets in New York, including the Lincoln and Holland tunnels, the George Washington Bridge, the Statue of Liberty, the United Nations, the Federal Building, and one location in the Diamond District.“Al-Qaida Timeline: Plots and Attacks,” NBC News, accessed March 15, 2015, http://www.nbcnews.com/id/4677978/ns/world_news-hunt_for_al_qaida/t/al-qaida-timeline-plots-attacks/#.U4idFpwqRdg. October 1993: An al-Qaeda cell in Somalia allegedly shoots down a U.S. black hawk helicopter in Mogadishu. 18 U.S. servicemen died in the operation.Andrew Wander, “A History of Terror: Al-Qaeda 1988-2008,” Guardian (London), July 12, 2008, http://www.theguardian.com/world/2008/jul/13/history.alqaida. March 1994: Ramzi Yousef and a militant cell in Bangkok hijacks a delivery truck and attempt to deliver a one-ton bomb to the Israeli embassy. The plot fails when the truck crashes and the militants are forced to abandon it.“Al-Qaida Timeline: Plots and Attacks,” NBC News, accessed March 15, 2015, http://www.nbcnews.com/id/4677978/ns/world_news-hunt_for_al_qaida/t/al-qaida-timeline-plots-attacks/#.U4idFpwqRdg. November 1994: Bin Laden’s associates in Manila conduct surveillance of President Bill Clinton and his Secret Service detail during a state visit, in preparation for an assassination attempt during Clinton’s planned trip to the APEC summit in November 1996. Surveillance tapes, maps, and notes were passed to Bin Laden in Sudan.“Al-Qaida Timeline: Plots and Attacks,” NBC News, accessed March 15, 2015, http://www.nbcnews.com/id/4677978/ns/world_news-hunt_for_al_qaida/t/al-qaida-timeline-plots-attacks/#.U4idFpwqRdg. June 1995: Members of Egyptian Islamic Jihad attack former President Hosni Mubarak’s motorcade during his visit to Addis Ababa, Ethiopia to attend the Organization of African Unity summit. Egyptian officials believed that Bin Laden planned the attack.“Al-Qaida Timeline: Plots and Attacks,” NBC News, accessed March 15, 2015, http://www.nbcnews.com/id/4677978/ns/world_news-hunt_for_al_qaida/t/al-qaida-timeline-plots-attacks/#.U4idFpwqRdg. August 1998: Simultaneous suicide bombings at the U.S. embassies in Dar es Salaam, Tanzania and Nairobi, Kenya kill 258 people and wound more than 5,000. In retaliation, the Clinton administration launches cruise missile attacks on suspected al-Qaeda training camps in Afghanistan and on the Al Shifa pharmaceutical plant in Khartoum.“Osama Bin Laden: A Chronology of His Political Life,” PBS Frontline, accessed March 15, 2015, http://www.pbs.org/wgbh/pages/frontline/shows/binladen/etc/cron.html. September 11, 2001: Nineteen al-Qaeda operatives hijack U.S. commercial airliners and flew them into the World Trade Center in New York and the Pentagon in Washington, DC. A fourth hijacked airplane, whose target may have been the U.S. Capitol building, crashes in a field in rural Pennsylvania. More than 3,000 civilians are killed and thousands more injured. The U.S. launched military operations against al-Qaeda’s suspected safe havens in Afghanistan six weeks later.“Timeline: Al-Qaeda,” BBC News, September 4, 2006, http://news.bbc.co.uk/2/hi/3618762.stm. December 23, 2001: British citizen Richard Reid is arrested after he tries to detonate explosives hidden in his shoes on an American Airlines flight from Paris to Miami. Nicknamed the “Shoebomber,” Reid pledged his allegiance to bin Laden during trial.“Timeline: Al-Qaeda,” BBC News, September 4, 2006, http://news.bbc.co.uk/2/hi/3618762.stm. January-February 2002: Wall Street Journal reporter Daniel Pearl is kidnapped and beheaded in Pakistan while on assignment to interview a militant leader about his ties to Richard Reid.“U.S. Journalist Daniel Pearl is Dead, Officials Confirm,” CNN.com, February 22, 2002, http://edition.cnn.com/2002/WORLD/asiapcf/south/02/21/missing.reporter/. April 11, 2002: Al-Qaeda claims responsibility for a synagogue bombing in Djerba, Tunisia, that killed 19 and injured 22.Audrey Kurth Cronin, “Terrorist Attacks by Al Qaeda,” Congressional Research Service, March 31, 2004, 4, http://www.fas.org/irp/crs/033104.pdf. October 2002: Al-Qaeda reportedly carries out attacks on a French oil tanker in Yemen on October 6, killing 1. On October 8, the group claims responsibility for attacking and killing two U.S. Marines on Faylaka Island in Kuwait. Then on October 12, the group claims responsibility for bombing the Kuta Beach nightclub district of Bali, Indonesia, killing 202 and wounding hundreds more.“Al-Qaida Timeline: Plots and Attacks,” NBC News, accessed March 15, 2015, http://www.nbcnews.com/id/4677978/ns/world_news-hunt_for_al_qaida/t/al-qaida-timeline-plots-attacks/#.U4idFpwqRdg. November 28, 2002: Al-Qaeda bombs a hotel in Mombasa, Kenya, that was owned and frequented by Israelis, killing 15 and wounding 40. Meanwhile, the group also tries but fails to shoot down an Israeli airliner with a surface-to-air missile as it took off from the airport in Mombasa.Audrey Kurth Cronin, “Terrorist Attacks by Al Qaeda,” Congressional Research Service, March 31, 2004, 4, http://www.fas.org/irp/crs/033104.pdf. May 2003: On May 12, al-Qaeda militants in Saudi Arabia attack three Western housing compounds in Riyadh, killing 34 people. Four days later, on May 16, 14 suicide bombers from al-Qaeda affiliate al-Salafiyyah al-Jihadiyah detonate 5 bombs in Casablanca, Morocco. The attacks killed 44 people, including 12 of the assailants, and wounded nearly 60.“Al-Qaida Timeline: Plots and Attacks,” NBC News, accessed March 15, 2015, http://www.nbcnews.com/id/4677978/ns/world_news-hunt_for_al_qaida/t/al-qaida-timeline-plots-attacks/#.U4idFpwqRdg. November 2003: On November 8, Suicide bombers driving vehicles disguised as police cars attack another residential compound in Riyadh, killing 17 and injuring 122.“Al-Qaida Timeline: Plots and Attacks,” NBC News, accessed March 15, 2015, http://www.nbcnews.com/id/4677978/ns/world_news-hunt_for_al_qaida/t/al-qaida-timeline-plots-attacks/#.U4idFpwqRdg. On November 15, two synagogues in Istanbul, Turkey are bombed simultaneously by the al-Qaeda affiliated Abu Hafs al-Masri Brigades. The bombings kill at least 29 people and wound dozens more. Five days later, 32 people are killed when suicide bombers from the Great Eastern Islamic Raiders’ Front detonate trucks packed with explosives outside of HSBC bank and the British consulate in Istanbul.Audrey Kurth Cronin, “Terrorist Attacks by Al Qaeda,” Congressional Research Service, March 31, 2004, 4, http://www.fas.org/irp/crs/033104.pdf. The Saudi militant cell called itself al-Qaeda in the Arabian Peninsula (AQAP).Ty McCormick, “Al Qaeda Core: A Short History,” Foreign Policy, March 17, 2014, http://www.foreignpolicy.com/articles/2014/03/17/al_qaeda_core_a_short_history. March 11, 2004: Four rush-hour commuter trains in Madrid are bombed simultaneously, killing 191 and wounding more than 1,800. Police discover that the bombs were hidden in backpacks and detonated remotely with mobile phones. Al-Qaeda claims that the attacks were in retaliation for Spain’s troop presence in Iraq and Afghanistan. Spain indicts 29 people in the attacks, including 15 Moroccans, 9 Spaniards, 2 Syrians, one Egyptian, one Algerian, and one Lebanese.“The 2004 Madrid Bombings,” Guardian (London), October 31, 2007, http://www.theguardian.com/world/2007/oct/31/spain.menezes. May 17, 2004: A suicide bomber with suspected ties to Abu Musab al-Zarqawi detonates himself near the U.S.-led coalition headquarters in Baghdad, killing the acting president of the Iraqi Governing Council, Ezzedine Salim. Salim’s death comes 45 days before the occupation forces were set to transfer limited political control back to the Iraqis.Ian Fisher and Christine Hauser, “The Struggle for Iraq: Political Violence; Suicide Bomber Kills President of Iraqi Council,” New York Times, May 18, 2004, http://www.nytimes.com/2004/05/18/world/struggle-for-iraq-political-violence-suicide-bomber-kills-president-iraqi.html. December 2004: On December 6, al-Qaeda launches an attack against the U.S. Consulate in Jeddah, Saudi Arabia, killing 5 non-American employees. Then on December 29, militants attack Saudi Arabia’s Ministry of Interior in Riyadh. Saudi forces killed seven of the assailants.“Al-Qaida Timeline: Plots and Attacks,” NBC News, accessed March 15, 2015, http://www.nbcnews.com/id/4677978/ns/world_news-hunt_for_al_qaida/t/al-qaida-timeline-plots-attacks/#.U4idFpwqRdg. July 7, 2005: Suicide bombers attack the London Underground railway and a civilian bus, killing 56 people in the worst terrorist attack in UK history. All four bombers were British nationals.“Al-Qaida Timeline: Plots and Attacks,” NBC News, accessed March 15, 2015, http://www.nbcnews.com/id/4677978/ns/world_news-hunt_for_al_qaida/t/al-qaida-timeline-plots-attacks/#.U4idFpwqRdg. On July 21, four British nationals attempted to blow up three trains and a bus in London but the bombs did not detonate.“Al-Qaida Timeline: Plots and Attacks,” NBC News, accessed March 15, 2015, http://www.nbcnews.com/id/4677978/ns/world_news-hunt_for_al_qaida/t/al-qaida-timeline-plots-attacks/#.U4idFpwqRdg. February 22, 2006: Al-Qaeda in Iraq (AQI) bomb the Shiite Al Askari Mosque in Samarra, Iraq, one of the four major Shiite shrines in Iraq and the burial place for two of the 12 revered Shiite Imams. Reportedly, “a group of men dressed like Iraqi police commandos” walked into the shrine and set off the explosions.Bill Roggio, “Dome of the Golden Mosque Destroyed,” Long War Journal, February 22, 2006, http://www.longwarjournal.org/archives/2006/02/dome_of_the_golden_m_1.php#. The mosque attack set off a wave of intensified Shiite-Sunni attacks across Iraq.Robert F. Worth, “Blast Destroys Shrine in Iraq, Setting Off Sectarian Fury,” New York Times, February 22, 2006, http://www.nytimes.com/2006/02/22/international/middleeast/22cnd-iraq.html. August 16, 2007: Suicide bombers from AQI simultaneously detonate five fuel trucks in the Yazidi Kurdish villages of al-Qataniyah and al-Adnaniyah, killing more than 300 Iraqis, injuring several hundred, and destroying dozens of homes. It is considered the worst terrorist attack in Iraq during the post-Saddamn era.Tim Butcher, “Iraq Bombs: 250 Die in Worst Terror Attack,” Daily Telegraph (London), August 16, 2007, http://www.telegraph.co.uk/news/worldnews/1560477/Iraq-bombs-250-die-in-worst-terror-attack.html. September 2007: Al-Qaeda in the Islamic Maghreb (AQIM) detonate a car bomb in the northern town of Dellys, killing 28 coast guard officers. Just days before, AQIM set off an explosion in a crowd that was waiting to greet Algerian president Abdelaziz Bouteflika.“Group with Ties to Al Qaeda Says It Was Behind Blasts in Algeria,” New York Times, September 10, 2007, http://www.nytimes.com/2007/09/10/world/africa/10algeria.html. September 2009: Afghan native Najibullah Zazi, who spent time in an al-Qaeda training camp in Pakistan’s Waziristan region, is arrested for allegedly planning to detonate homemade explosives in New York City’s subway system to mark the anniversary of 9/11. Zazi pleads guilty in February 2010 to three charges: conspiring to use weapons of mass destruction, conspiracy to commit murder in a foreign country, and providing material support to a terrorist organization.Julian Cummings, “Najibullah Zazi Pleads Guilty in New York Terrorism Plot,” CNN, February 23, 2010, http://www.cnn.com/2010/CRIME/02/22/najibullah.zazi.plea/. December 25, 2009: Nigerian citizen Umar Farouk Abdulmutallab attempts to detonate explosives hidden in his underwear aboard a Northwest Airlines flight travelling from Amsterdam to Detroit, but was subdued by passengers after setting his pants on fire. Abdulmutallab allegedly received training and explosives from AQAP in Yemen.Dan Eggen, Karen DeYoung, and Spencer Hsu, “Plane Suspect Was Listed in Terror Database after Father Alerted U.S. Officials,” Washington Post, December 27, 2009, http://www.washingtonpost.com/wp-dyn/content/article/2009/12/25/AR2009122501355.html. November 2010: Al-Qaeda in the Arabian Peninsula attempts to mail bombs loaded in printer cartridges via UPS and FedEx to Jewish community centers in Chicago. The bombs made their way from Yemen to Britain and Dubai before a last minute tip from Saudi intelligence alerted officials in each country to the cargo and foiled the plot.Spencer Ackerman, “Qaeda: Yeah, the Printer-bomb Plot Was Us,” Wired, November 6, 2010, http://www.wired.com/2010/11/qaeda-yeah-the-printer-bomb-plot-was-us/. May 2012: The Central Intelligence Agency and foreign intelligence services foil an attempt by al-Qaeda in the Arabian Peninsula to send a suicide bomber carrying an “experimental bomb aboard an airliner” travelling to the U.S.Scott Shane and Eric Schmitt, “Qaeda Plot to Attack Plane Foiled, U.S. Officials Say,” New York Times, May 7, 2012, http://www.nytimes.com/2012/05/08/world/middleeast/us-says-terrorist-plot-to-attack-plane-foiled.html. September 11, 2012: Al-Qaeda affiliate Ansar al-Sharia in Libya attack the U.S. Consulate in Benghazi, killing U.S. Ambassador Chris Stevens and three other Americans at the Consulate.Karen DeYoung, Michael Birnbaum, and William Branigin, “U.S. Officials: Attack on Consulate in Libya May Have Been Planned,” Washington Post, September 12, 2012, http://www.washingtonpost.com/world/news-agencies-us-ambassador-to-libya-killed-in-attack-outside-consulate/2012/09/12/665de5fc-fcc4-11e1-a31e-804fccb658f9_story.html. January 23, 2013: Al-Qaeda in the Islamic Maghreb seize control of a natural gas plant in eastern Algeria, tying up dozens of Western workers and planting explosives throughout the facility. After four days of negotiations failed, Algerian forces storm the facility, killing and driving out the militant. However, at least 37 hostages die in the hostage crisis and ensuing assault.Amir Ahmed, “At Least 37 Hostages Killed in Algeria Gas Plant Standoff, Prime Minister Says,” CNN, January 23, 2013, http://www.cnn.com/2013/01/21/world/africa/algeria-hostage-crisis/. September 21, 2013: Reportedly, gunmen from Al-Shabaab open fire on bystanders at the Westgate Mall in Nairobi, Kenya, killing more than 60 people during an 80-hour siege of the mall by Kenyan security forces.Mike Pflanz, “Nairobi’s Westgate Mall Attack: Six Months Later, Troubling Questions Weigh Heavily,” Christian Science Monitor, March 21, 2014, http://www.csmonitor.com/World/Africa/2014/0321/Nairobi-s-Westgate-mall-attack-six-months-later-troubling-questions-weigh-heavily. January-February 2014: Militants from Boko Haram in Nigeria stage numerous attacks on colleges and villages in Nigeria during the first two months of 2014, shooting and burning male students alive. According to estimates, the group murder more than 200 students during a four-week span.Adam Nossiter, “Islamist Militants Blamed for Deadly College Attack in Nigeria,” New York Times, February 25, 2014, http://www.nytimes.com/2014/02/26/world/africa/dozens-killed-in-nigeria-school-assault-attributed-to-islamist-militant-group.html. April 24, 2014: Two al-Qaeda gunmen try and fail to kidnap U.S. embassy staff in Sanaa, Yemen.JC Finley, “U.S. embassy employees repel AQAP kidnapping attempt in Yemen, killing 2 militants,” United Press International, May 12, 2014, http://www.upi.com/Top_News/World-News/2014/05/12/US-embassy-employees-repel-AQAP-kidnapping-attempt-in-Yemen-killing-2-militants/4231399905320/. September 17, 2014: Al-Qaeda’s new wing in South Asia hijacks a Pakistani naval ship, and tries to use it to launch rockets towards U.S. vessels.Maria Golovnina, “New al Qaeda wing in South Asia claims major attack,” Reuters, September 17, 2014, http://www.reuters.com/article/2014/09/17/us-southasia-attacks-idUSKBN0HC0YS20140917. October 20, 2014: Al-Qaeda suicide bombings and gun attacks kill at least 33 people in Yemen.Mohammed Ghobari, “Al Qaeda attacks kill at least 33 in Yemen,” Reuters, October 20, 2014, http://www.reuters.com/article/2014/10/20/us-yemen-crisis-fighting-idUSKCN0I91PO20141020. January 7, 2015: The perpetrators of the Paris attacks on the offices of satirical newspaper Charlie Hebdo and a kosher supermarket claim that they received funding from AQAP. One of the two Kouachi brothers had previously trained with al-Qaeda in Yemen.Eric Schmitt, Michael S. Schmidt and Andrew Higgins, “Al Qaeda Trained Suspect in Paris Terror Attack, Official Says,” New York Times, January 8, 2015, http://www.nytimes.com/2015/01/09/world/europe/paris-terror-attack-suspects.html. January 14, 2015: AQAP officially claims responsibility for the Charlie Hebdo attack.Sami Aboudi, “Al Qaeda claims French attack, derides Paris rally,” Reuters, January 14, 2014, http://www.reuters.com/article/2015/01/14/us-france-shooting-aqap-idUSKBN0KN0VO20150114. February 12, 2015: AQAP militants seize a large army base in southern Yemen, just hours after the U.N. warns that the country is on the brink of civil war.Mohammad Mukhashaf, “Al Qaeda fighters seize Yemen army base, U.N. warns of civil war,” Reuters, February 12, 2015, http://www.reuters.com/article/2015/02/12/us-yemen-security-idUSKBN0LG0VE20150212. February 13, 2015: Al-Qaeda fighters attack a Yemeni prison, freeing six al-Qaeda militants.Jason Hanna and Hakim Almasmari, “Al Qaeda freed 6 inmates in Yemen prison attack, officials say,” CNN, February 13, 2015, http://www.cnn.com/2015/02/13/world/yemen-unrest/. February 25, 2015: The Guardian reports that Russian intelligence fears al-Qaeda in the Islamic Maghreb (AQIM) is planning attacks against European targets in the Mediterranean from North Africa with a “kamikaze” marine unit.Seumas Milne and Ewen MacAskill, “Al-Qaida Planning Kamikaze Attacks on Ships in Mediterranean, Cables Claim,” Guardian (London), February 25, 2015, http://www.theguardian.com/world/2015/feb/25/al-qaida-planning-kamikaze-attacks-ships-mediterranean-russian-cables. March 3, 2015: Five people are killed in an AQAP suicide attack on a Houthi outpost in central Yemen.“UPDATE 1-Five dead in Qaeda suicide attack on Houthis in central Yemen,” Reuters, March 3, 2015, http://www.reuters.com/article/2015/03/03/yemen-security-idUSL5N0W551J20150303. November 20, 2015: Al-Mourabitoun claims responsibility for a deadly gun and hostage attack on the Radisson Blu Hotel in Bamako, Mali, allegedly as part of a joint attack with al-Qaeda affiliate, AQIM. According to U.N. spokesman Olivier Salgado, 21 people were killed in the attack when gunmen stormed the hotel using counterfeit diplomatic license plates.Faith Karimi and Erin Burnett, “Mali hotel attack: Gunmen barged in, shot at 'anything that moved,'” CNN, November 22, 2015, http://www.cnn.com/2015/11/21/africa/mali-hotel-attack/. January 16, 2016: Al-Qaeda affiliate AQIM storms a hotel and nearby cafe in Ougadougou, Burkina Faso, killing 28 and wounding dozens.“Why did Burkina Faso become al-Qaida’s latest target?” January 18, 2016, https://www.theguardian.com/world/2016/jan/18/why-did-burkina-faso-become-al-qaidas-latest-target. “After Ivory Coast Al Qaeda Attack, Is Senegal Next? Muslim Population, Unemployment Make Tourist Destination A Target,” International Business Times, March 17, 2016, http://www.ibtimes.com/after-ivory-coast-al-qaeda-attack-senegal-next-muslim-population-unemployment-make-2337915. October 14, 2017: Al-Qaeda affiliate al-Shabab is suspected of detonating a suicide bomb in Mogadishu, killing more than 500 people. While al-Shabab is an al-Qaeda affiliate, more than 200 fighters have defected since 2015 and declared allegiance to ISIS.“Death toll from Somalia truck bomb in October now at 512: probe committee,” Reuters, November 30, 2017, https://www.reuters.com/article/us-somalia-blast-toll/death-toll-from-somalia-truck-bomb-in-october-now-at-512-probe-committee-idUSKBN1DU2IC; Tom Odula, “Official: 200 al-Shabab fighters pledge allegiance to IS,” Associated Press, December 14, 2015, https://web.archive.org/web/20151227161237/https://news.yahoo.com/official-200-al-shabab-fighters-pledge-allegiance-152642307.html. January 12, 2018: Al-Qaeda prison inmate Christian Ganczarski injures three guards in a knife attack at the French prison where he is being held. Ganczarski was linked to the 2002 Tunisian synagogue bombing that killed 21.“Three French prison guards hurt in attack by Al-Qaeda inmate,” AFP, January 12, 2018, https://www.timeslive.co.za/news/world/2018-01-12-three-french-prison-guards-hurt-in-attack-by-al-qaeda-inmate/. January 21, 2018: The al-Qaeda affiliated Haqqani Network kills 22 people including several U.S. citizens in a 12-hour attack on a hotel in Kabul, Afghanistan.Elise Labbot, “US citizens among dead in Kabul hotel attack,” CNN, January 23, 2018, https://www.cnn.com/2018/01/23/politics/kabul-hotel-attack/index.html. January 27, 2018: Al-Qaeda fighters attack and briefly seize control of a Malian army base near Soumpi, Timbuktu, killing 14 and wounding 18.“Malian soldiers killed in al-Qaeda attack on army base,” al Jazeera, January 27, 2018, https://www.aljazeera.com/news/2018/01/malian-soldiers-killed-al-qaeda-attack-army-base-180127165051479.html. March 25, 2018: Al-Qaeda affiliate al-Shabab detonates three car bombs over four days in Mogadishu, Somalia, killing nearly 20 people.Hussein Mohammad, “Militants Linked to Al Qaeda Unleash Deadly Car Bombings in Somalia,” New York Times, March 25, 2018, https://www.nytimes.com/2018/03/25/world/africa/somalia-bombing-mogadishu-shabab.html. July 7, 2018: An al-Shabab suicide bombing in Mogadishu kills at least nine.Haley Britzky, “Al Qaeda branch claims attack in Somalia that left at least nine dead,” Axios, July 7, 2018, https://www.axios.com/al-qaeda-branch-claims-attack-in-somalia-that-leaves-at-least-nine-dead-6c0d4a52-b133-45c5-aa5f-e40c27a5e74a.html. October 8, 1999: The Department of State designates Al-Qa’ida (AQ) as a Foreign Terrorist Organization (under section 219 of the Immigration and Nationality Act).“Foreign Terrorist Organizations,” U.S. Department of State, accessed March 12, 2015, http://www.state.gov/j/ct/rls/other/des/123085.htm. The Department of State designates Al-Qa’ida as a Specially Designated Global Terrorist (under Executive Order 13224).“Sanctions List Search: Al-Qa’ida,” U.S. Department of the Treasury, accessed March 15, 2015, https://sdnsearch.ofac.treas.gov/Details.aspx?id=545. The Office of Foreign Assets Control, U.S. Treasury Department designates Al-Qa’ida as a Specially Designated Terrorist (under Executive Order 13224).“Sanctions List Search: Al-Qa’ida,” U.S. Department of the Treasury, accessed March 15, 2015, https://sdnsearch.ofac.treas.gov/Details.aspx?id=545. In addition to designating hundreds of terrorist groups affiliated with al-Qaeda, the U.S. Department of the Treasury has formally designated dozens of Islamic charities and front companies tied to al-Qaeda.“FTO,” U.S. Department of the Treasury, accessed March 12, 2015, http://www.treasury.gov/resource-center/terrorist-illicit-finance/Pages/protecting-fto.aspx. Australia—listed Al-Qaeda as a terrorist organization on October 21, 2002.“Listed Terrorist Organisations,” Australian Government, accessed February 19, 2015, http://www.nationalsecurity.gov.au/Listedterroristorganisations/Pages/default.aspx. Canada—listed Al-Qaeda as a terrorist organization on July 23, 2002.“Currently Listed Entities,” Public Safety Canada, last modified March 24, 2014, http://www.publicsafety.gc.ca/cnt/ntnl-scrt/cntr-trrrsm/lstd-ntts/crrnt-lstd-ntts-eng.aspx#2004. EU—listed Al-Qaeda as a terrorist organization on May 27, 2002.Council of the European Union, “Council Regulation (EC) No 881/2002 of 27 May 2002,” Official Journal of the European Communities, May 27, 2002, http://eur-lex.europa.eu/LexUriServ/LexUriServ.do?uri=OJ:L:2002:139:0009:0022:EN:PDF. France—designated Al-Qaeda according to rule (CE) n° 881/2002 of May 27, 2002.“Liste terroriste unique,” Tresor Direction Generale, accessed March 12, 2015, http://www.tresor.economie.gouv.fr/5563_liste-terroriste-unique. India—listed Al-Qaeda as a terrorist organization on April 9, 2002.“Centre Bans Al-Qaeda,” Hindu, April 9, 2002, http://www.thehindu.com/2002/04/09/stories/2002040903651100.htm. Israel—listed Al-Qaeda as an Unlawful organization on April 10, 2001.“List of Declarations and Orders—Unofficial Translation,” Ministry of Justice, February 20, 2013, http://www.justice.gov.il/NR/rdonlyres/9C960928-70AB-428A-BCCC-2E6091F2BDE3/40880/impa_terror_eng_17012013.doc. New Zealand—listed Al-Qaeda as a terrorist organization on October 17, 2002.“Designated Individuals and Organisations,” New Zealand Police, February 10, 2015, http://www.police.govt.nz/sites/default/files/publications/designated-entities-10-02-2015.pdf. United Arab Emirates—listed Al-Qaeda as a terrorist organization on November 15, 2014.“UAE lists scores of groups as ‘terrorists,’” Al Jazeera, November 16, 2014, http://www.aljazeera.com/news/middleeast/2014/11/uae-lists-scores-groups-as-terrorists-2014111517644316294.html. United Nations—listed Osama bin Laden as a terrorist on October 15, 1999.“Resolution 1267 (1999),” United Nations Security Council, October 15, 1999, http://www.un.org/ga/search/view_doc.asp?symbol=S/RES/1267%281999%29. United Kingdom—listed Al-Qaeda as a terrorist organization in March 2001.“Proscribed Terrorist Organisations,” Home Office, last modified January 23, 2015, 6, https://www.gov.uk/government/uploads/system/uploads/attachment_data/file/400902/Proscription-20150123.pdf. In response to Egypt’s crackdown on the Muslim Brotherhood, Ayman al-Zawahiri released a video condemning the crackdown and saying, “We call on the people to put their revolution on the right track and undertake slogans calling for Islamic Sharia, the path of freedom, social justice and human dignity.”Adam Koppeser and AbdelHalim H. AbdAllah, “Al Qaeda Chief Declares Solidarity with Muslim Brotherhood, Urges Followers to Kidnap Westerners,” Daily News Egypt, April 27, 2014, http://www.dailynewsegypt.com/2014/04/27/al-qaeda-chief-declares-solidarity-muslim-brotherhood-urges-followers-kidnap-westerners/. The Egyptian outlet El-Watan has exposed conversations between Egypt’s former president and member of the Muslim Brotherhood Mohammed Morsi and Ayman al-Zawahiri’s brother, Muhammad al-Zawahiri. According to these conversations, Morsi allegedly colluded with Zawahiri to release terrorists from Egyptian prisons in order to garner support for the Brotherhood.Ariel Ben Solomon, “Egyptian Reports Highlight Alleged Morsi-Al-Qaida Cooperation,” Jerusalem Post, February 6, 2014, http://www.jpost.com/Middle-East/Egyptian-reports-highlight-alleged-Morsi-al-Qaida-cooperation-340556. Al-Qaeda in the Arabian Peninsula (AQAP) is the union of al-Qaeda’s branches in Saudi Arabia and Yemen. AQAP has carried out violent jihadist attacks both domestically and internationally in service of al-Qaeda’s ideology. AQAP is most known for its terrorist plots on U.S. soil, including the Christmas Day Bomber of 2009 and the Times Square Bomber of 2010, as well as its brutal war against the Yemeni government. Al-Shabab publicly praised al-Qaeda between 2006 and 2008, condemning U.S. oppression of Muslims worldwide. In 2010, the group announced that it sought to “connect the horn of Africa jihad to the one led by al-Qaeda.”Jonathan Masters, “Al-Shabab,” Council on Foreign Relations, last modified September 5, 2014, http://www.cfr.org/somalia/al-shabab/p18650. Al-Shabab officially announced its union with al-Qaeda in February 2012. Following Godane’s death in September 2014, the group and its new leader reaffirmed the alignment.Reuters, “Al-Shabaab pledge allegiance to new leader,” Al Arabiya, September 8, 2014, http://english.alarabiya.net/en/News/2014/09/08/Somalia-s-al-Shabaab-pledge-allegiance-to-new-leader.html. The Nusra Front has a long and proven history of serving as al-Qaeda’s loyal affiliate in Syria. In July 2016, however, al-Qaeda leader Ayman al-Zawahiri released an audio statement giving the Nusra Front formal permission to break ties with al-Qaeda if the link was “conflicting with [the Nusra Front’s] unity and working as one body.”Reuters, “Al Qaeda tells Syrian branch Nusra Front it can drop links,” Thomas Reuters Foundation News, July 28, 2016, http://news.trust.org/item/20160728110801-ogl17. Hours later, Nusra Front leader Abu Muhammad al-Golani formally severed ties with al-Qaeda’s central command.Orient News, “Nusra Front, Abu Mohammed Joulani commander officially announced the disengagement from al-Qaeda and the establishment of a new entity,” YouTube video, https://www.youtube.com/watch?v=oossAtDYbrs; Dania Akkad, “Nusra confirms split with al-Qaeda ‘to protect the Syrian revolution,’” Middle East Eye, July 28, 2016, http://www.middleeasteye.net/news/nusra-front-announces-official-split-al-qaeda-520293064. Analysts have long surmised that a formal, or at least artificial, break from al-Qaeda could allow the Nusra Front the opportunity to attract more funding from Gulf states, consolidate local support, and present itself as a legitimate insurgent group in Syria.Bassem Mroue, “AP EXPLAINS: Why Syria’s al-Qaida may be considering a split,” Associated Press, July 27, 2016, http://bigstory.ap.org/article/d10d759d35824b70b47501d85f0ff8c3/ap-explains-why-syrias-al-qaida-may-be-considering-split; Reuters, “Al Qaeda tells Syrian branch Nusra Front it can drop links,” Thomas Reuters Foundation News, July 28, 2016, http://news.trust.org/item/20160728110801-ogl17. Even as the Nusra Front formally declared its independence from al-Qaeda, the group thanked al-Qaeda’s leadership for giving “priority to the interests of the people of Al-Sham, their Jihad, [and] their revolution.”Orient News, “Nusra Front, Abu Mohammed Joulani commander officially announced the disengagement from al-Qaeda and the establishment of a new entity,” YouTube video, https://www.youtube.com/watch?v=oossAtDYbrs. For years before the announcement, the Nusra Front had reaffirmed its allegiance to al-Zawahiri, even in the face of competing claims to its leadership. In April 2013, after al-Baghdadi unilaterally claimed that the Nusra Front answered to his al-Qaeda in Iraq group (now ISIS), Nusra Front leader Abu Muhammad al-Golani broke ties with ISIS and affirmed its allegiance to al-Qaeda central.“Syria Crisis: Al-Nusra Pledges Allegiance to Al-Qaeda,” BBC News, April 10, 2013, http://www.bbc.com/news/world-middle-east-22095099. Al-Qaeda in the Indian Subcontinent (AQIS) is al-Qaeda’s fifth official chapter. Alastair Reed, “Al Qaeda in the Indian Subcontinent: A New Frontline in the Global Jihadist Movement?,” ICCT Policy Brief, May 2015, 1, https://www.icct.nl/wp-content/uploads/2016/05/ICCT-Reed-Al-Qaeda-in-the-Indian-Subcontinent-May2016.pdf The group was founded in September 2014 at the behest of al-Qaeda leader Ayman al-Zawahiri, who appointed Asim Omar as emir (leader) of the new affiliate. Like its parent group, AQIS seeks to wage jihad in order to establish governance by sharia (Islamic law). The affiliate allegedly operates in Afghanistan, Pakistan, India, Burma, Bangladesh, and Kashmir. Al-Zawahiri stated that AQIS seeks to “rescue” the subcontinent’s Muslim population from “injustice, oppression, persecution, and suffering.” Bill Roggio, “Al Qaeda Opens Branch in the ‘Indian Subcontinent,’” Long War Journal, September 3, 2014, http://www.longwarjournal.org/archives/2014/09/al_qaeda_opens_branc.php. Ansar al-Islam is an al-Qaeda affiliate operating in Egypt’s Sinai Peninsula. Hisham Ashmawy, a former captain in the Egyptian special forces, founded the group after defecting from Ansar Bait al-Maqdis when it declared allegiance to ISIS in November 2014.Tim Lister, “Al Qaeda leader to ISIS: You’re wrong, but we can work together,” CNN, September 15, 2015, http://www.cnn.com/2015/09/14/middleeast/al-zawahiri-al-qaeda-isis-olive-branch/. Ashmawy is responsible for the May 2013 attempted assassination of former Interior Minister Mohamed Ibrahim and the June 2015 assassination of Egypt’s top public prosecutor with a car bomb.Ahmed Hassan, “One of us: the militant Egypt's army fears most,” Reuters, October 16, 2015, https://www.reuters.com/article/us-egypt-army-militant-insight/one-of-us-the-militant-egypts-army-fears-most-idUSKCN0SA0XT20151016. “Don’t buy into the Martin story. This man never gave u freedom. Just mental slavery. #BaltimoreRiots #YouNeedShariah.” (Tweet)“ISIS Fighters, Supporters Hijack #BaltimoreRiots Twitter Hashtag, Discuss Race Issues, Urge Attacks On Policemen,” Middle East Media Research Institute, April 28, 2015, http://www.memri.org/report/en/0/0/0/0/0/0/8541.htm#_edn13. “One individual is able to put a whole nation onto it’s [sic] knees.” (Tweet)Brian Ross, Rhonda Schwartz, Randy Kreider, and James Gordon Meek, “The American Terror Recruiter’s Link to Texas Shooting,” ABC News, May 5, 2015, http://abcnews.go.com/US/american-terror-recruiters-link-texas-shooting/story?id=30827653. “If only we had men like these brothers in the #States, our beloved Muhammad would not have been drawn.” (Tweet) Tim Lister, “The cheerleaders and the freelancers: the new actors in international terrorism,” CNN, May 7, 2015, http://www.cnn.com/2015/05/07/world/cheerleader-freelancer-terror/. “The brothers from the Charlie Hebdo attack did their part. It’s time for brothers in the #US to do their part.” (Tweet) Brian Ross, Rhonda Schwartz, Randy Kreider, and James Gordon Meek, “The American Terror Recruiter’s Link to Texas Shooting,” ABC News, May 5, 2015, http://abcnews.go.com/US/american-terror-recruiters-link-texas-shooting/story?id=30827653. “Where are the warriors of this Ummah [community]?” (Tweet) Brian Ross, Rhonda Schwartz, Randy Kreider, and James Gordon Meek, “The American Terror Recruiter’s Link to Texas Shooting,” ABC News, May 5, 2015, http://abcnews.go.com/US/american-terror-recruiters-link-texas-shooting/story?id=30827653. “Ask yourselves what caused the riots. Its [sic] because of the oppression of Democracy. Its time u accept #Shariah #BaltimoreRiots#YouNeedShariah.” (Tweet) “Extremists Use #BaltimoreRiots To Spread Propaganda, Recruit New Members,” Counter Extremism Project, https://storify.com/CEP/isis-extremists-user-baltimoreriots-to-spread-prop?utm_content=buffer8c50b&utm_medium=social&utm_source=twitter.com&utm_campaign=buffer. “Some people consider broken windows more valuable than broken necks. Fight for your rights. Accept #Shariah #BaltimoreRiots#YouNeedShariah” (Tweet) “Extremists Use #BaltimoreRiots To Spread Propaganda, Recruit New Members,” Counter Extremism Project, https://storify.com/CEP/isis-extremists-user-baltimoreriots-to-spread-prop?utm_content=buffer8c50b&utm_medium=social&utm_source=twitter.com&utm_campaign=buffer. Claiming responsibility for the Charlie Hebdo attacks: “As for the blessed Battle of Paris, we...claim responsibility for this operation as vengeance for the Messenger of God. [The] one who chose the target, laid the plan and financed the operation is the leadership of the organization [sic].”Sami Aboudi, “Al Qaeda claims French attack, derides Paris rally,” Reuters, January 14, 2014, <a http:="" www.reuters.com="" article="" 2015="" 01="" 14="" us-france-shooting-aqap-iduskbn0kn0vo20150114"="">http://www.reuters.com/article/2015/01/14/us-france-shooting-aqap-idUSKBN0KN0VO20150114. Al-Qaeda’s 9/11 attacks was the deadliest ever on American soil, killing nearly 3,000 people. Since the fall of the Taliban, al-Qaeda has established operations worldwide, including in Syria, the Gulf, North Africa, West Africa, East Africa, and the Indian subcontinent.